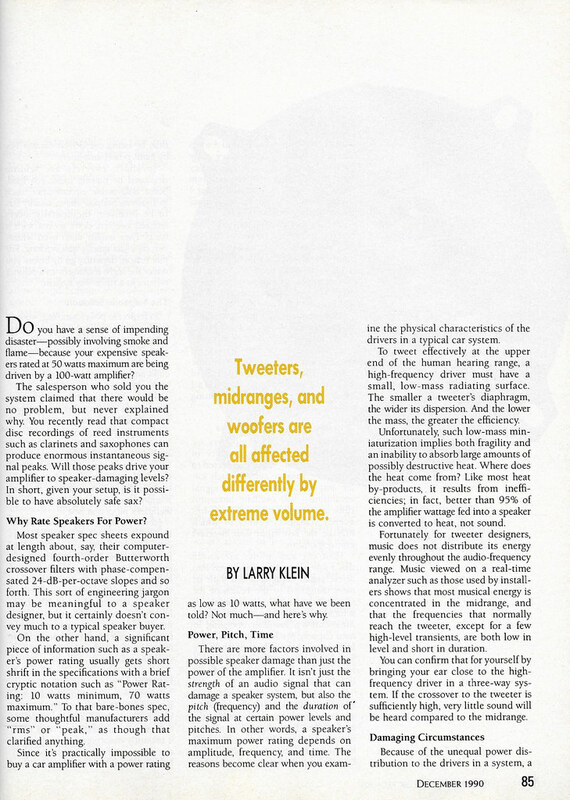 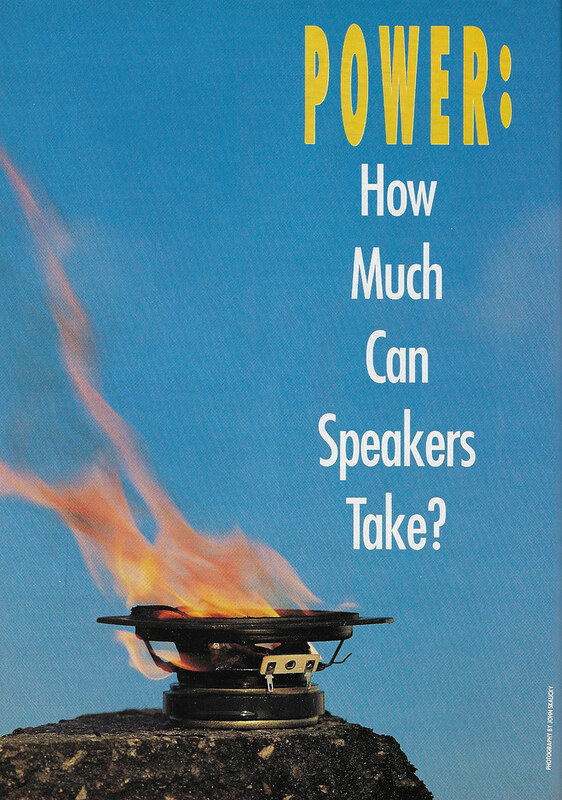 Klein, Larry "Power: How Much Can Speakers Take?" 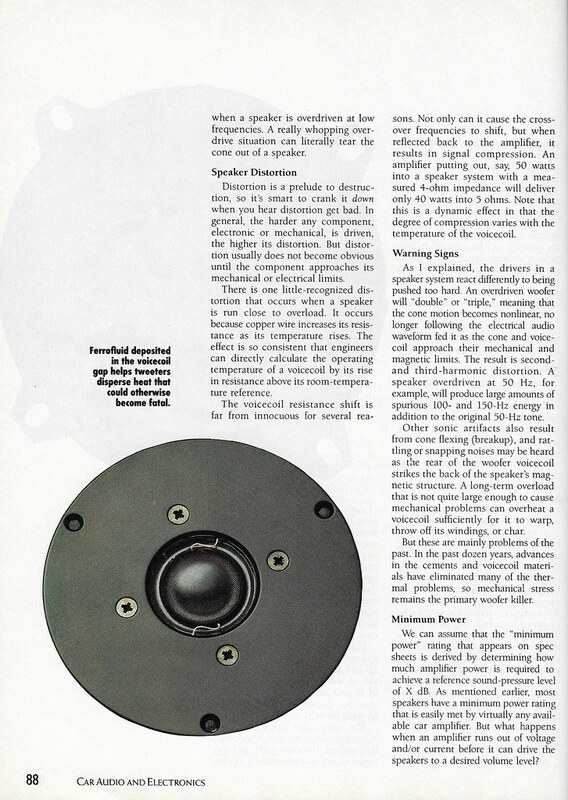 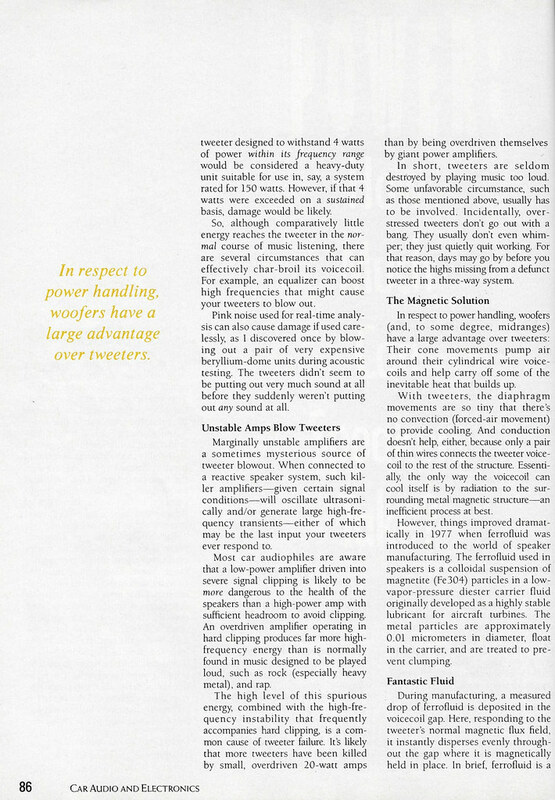 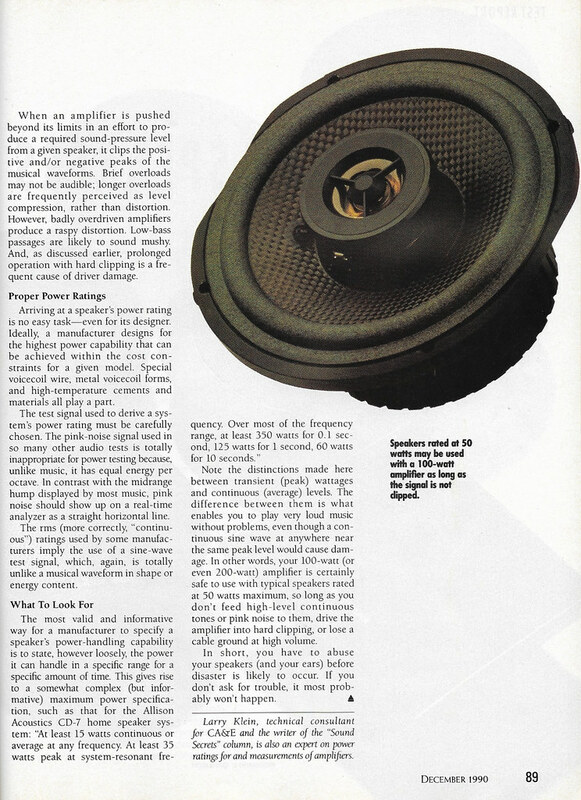 Car Audio & Electronics December 1990: 84-89. 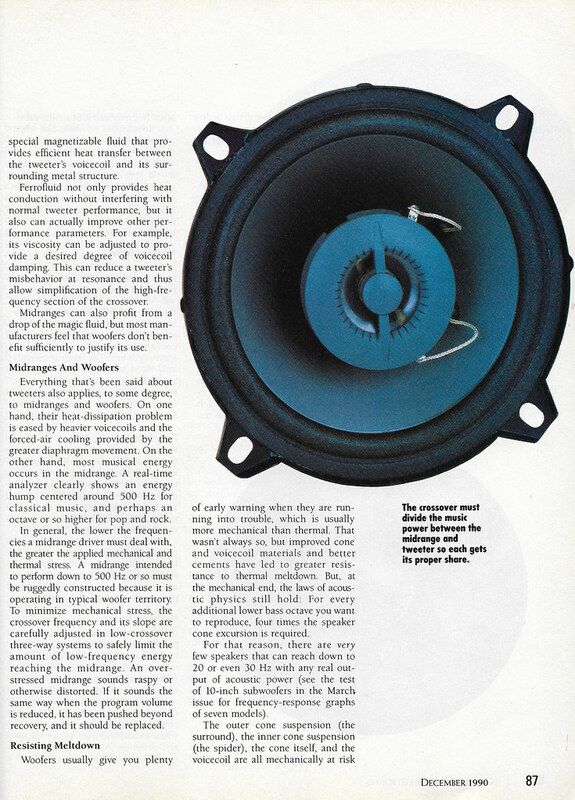 Right there on page 88, answers an all too often asked question - "my (insert speaker name here) is making a rattly sound when listening, what could it be?"